September 5, 07 - It's been a while since I contacted you so I thought I'd send a few pictures that I have. 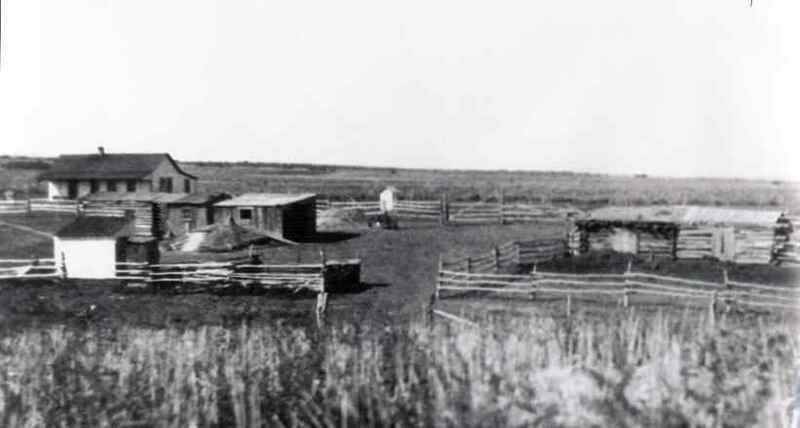 The homestead photo is of my great granddads place looking west, it used to set right on the south end of the Govt. Corrals or old rodeo grounds just south of the store, 16.5 road went between the main house (west side) off to the left and the small sheds and pens were on the other side of the road (east side). 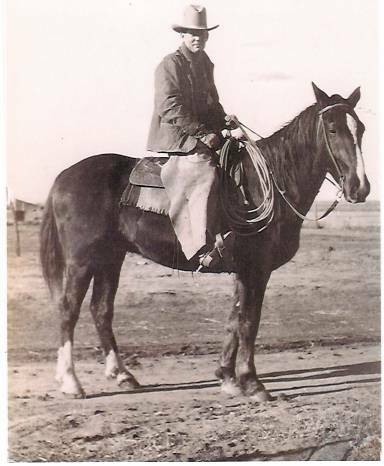 The photo of the cowboy is my great granddad Emp Dennis taken about 1917 or so either in Fruita or on the Park. 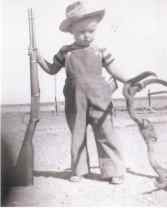 The boy holding the buck is my uncle Dennis Rhyne at the Glade Park Store in 1944 with a buck his uncle(Curtis' brother) George Rhyne killed. 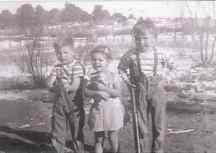 The last photo is of my mother Judy and my uncles Doug and Dennis at the Carpenter place that sits along the west side of the road, north of the store where you turn to go to the cemetery. Hope you don't mind if I use your website for a public announcemment. 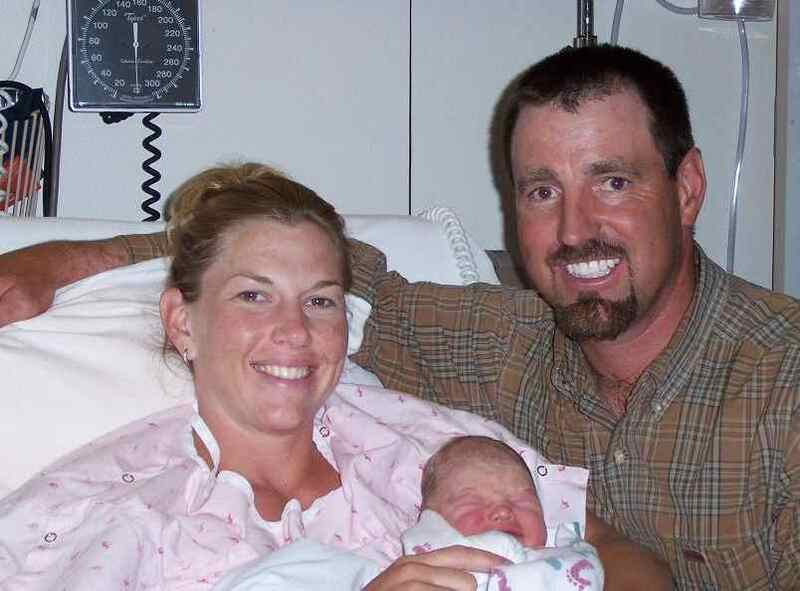 My wife Lisa and I just had a healthy baby boy! 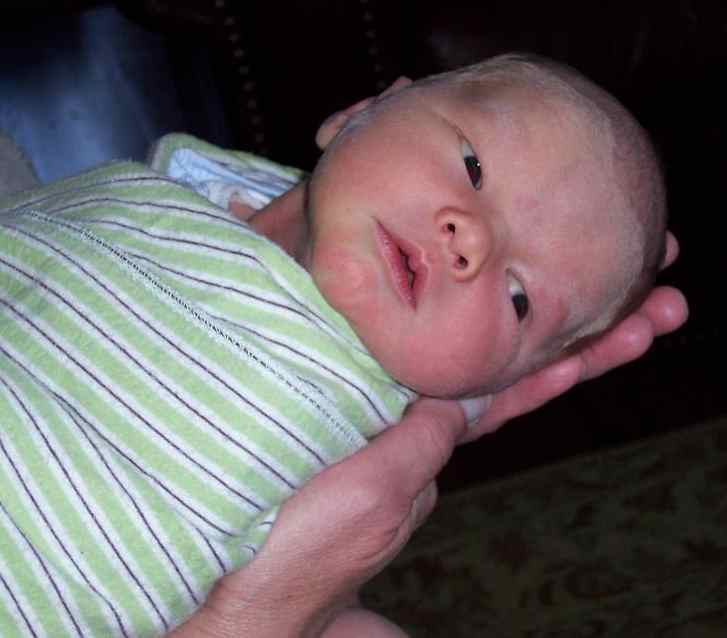 Our first, his name is Landon Dennis Rhyne and he weighed 7lb 9oz He was born on 7/6/07 in Jackson Hole Wyoming. We hope to get him back to the Park sometime soon!